This represents the Agreement between the Registrant (Owner) of a Domain Name and the Registrar. If you register a domain name through us, this Agreement will apply to the person whose information you filled in the Owner section during the Registration process. Click here to view the agreement. The Registrant Rights and Responsibilities document can be located by clicking here. Registrant shall further endeavor to familiarize themselves with the Registrants' Rights and Responsibilities applicable while registering gTLDs. 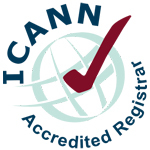 Registrant is encouraged to refer to ICANN published Registrant Educational Materials. Q: When will Auto renew be attempted? A: For all orders with tenure greater than 3 months, it will be attempted 30 days in advance. For all orders with tenure less than 3 months, it will be attempted 7 days in advance. Q: For what tenure will the renewal take place? A: It will be the same tenure as the last renewal. For example: If your order was registered or renewed for period of 2 years, then the renewal will be for 2 years. Q: Is it safe to store my credit card details with Experinom? A: Yes, you can be rest assured that these details are encrypted and stored in a secure location. Q: Can I Add / Remove my credit card details? A: You cannot add but only delete the credit card details from Experinom account. Q: How are my credit card details stored on Experinom account? A: When you make a purchase through credit card, you will be notified via a notification next to the Pay Now button. Q: Do I get an email about the auto renewal? A: Yes, you will receive an email 3 days prior to the auto renew action. You will also receive email for successful as well as failed transactions. As early as one day after expiration, your domain name will be deactivated and will display a parking page indicating the domain name has expired, and other services you have associated with the domain name may no longer function. As early as 36 days after expiration, your domain name may be purchased by a third party. If a third party purchases the domain name during this time, the domain name will not be available for you to renew. If the domain name has not been renewed by you or purchased by a third party, an expired domain name enters the registry redemption period (as defined by each registry) approximately 40 days following expiration. Certain TLDs enter the registry redemption period sooner than 40 days and those details are available here. We reserve the right to charge you a redemption fee (in additional to the renewal fee) in the event you are able to renew your domain name during this period. The fee charged for redemption varies by TLD and may be found here. If the domain name completes the registry redemption period, the registry may hold the domain name for a period of five days before releasing it again for general registration.